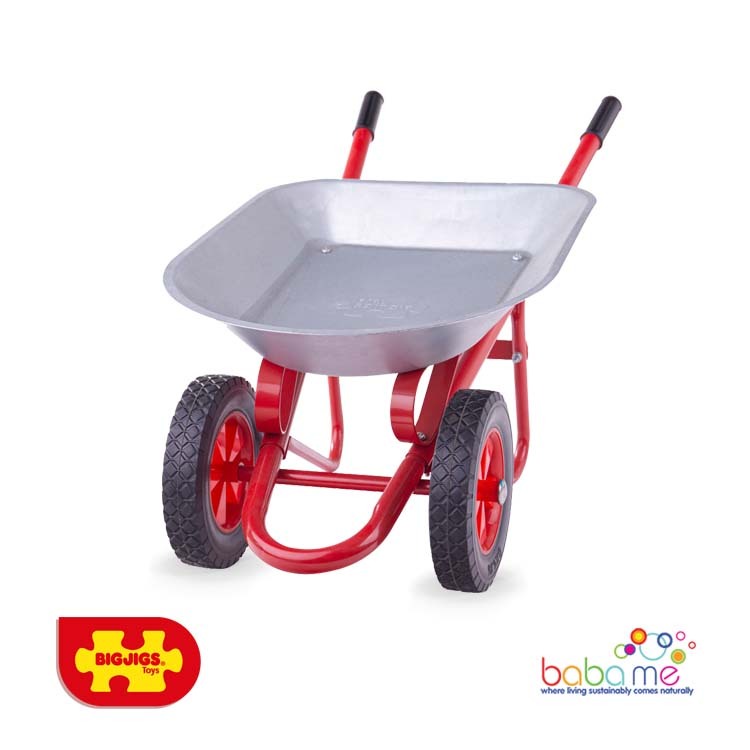 This wheelbarrow has two wheels to help ensure that your little one's load doesn't tip over and handles that are easy for little hands to grip. Functional and durable, with plenty of load space within the easy to clean tray and built to last with a strong construction. Requires adult assembly. Conforms to current European safety standards.